Whitechapel is the newest member of our Urban Collection and younger brother to Spitalfield. 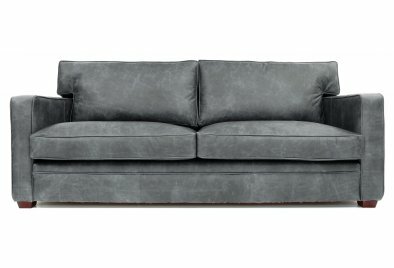 Like his older sibling, he too has all the characteristics of a contemporary leather sofa, the clean lines, slim vertical arms and the bold and confident personality. 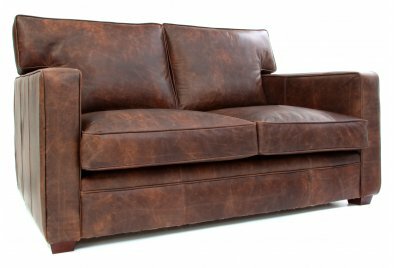 However Whitechapel is a much fresher, modern looking leather sofa, he wears a more trendy leather and has none of the fuss or frills. This guy refuses to wear anything but our vintage leather and we don't blame him, it's an extremely high quality, aniline leather and it is hand finished to create the perfect tones, shades and textures that recreate a leather that looks hundreds of years old but feels super soft, smooth and supple. Like the entire Old Boot family, Whitechapel is an utterly comfortable leather sofa. 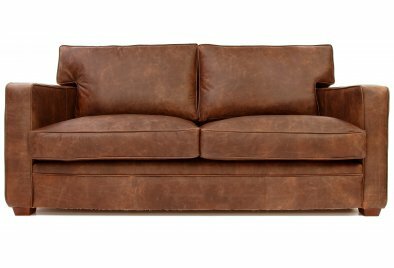 He has huge seat cushions and gorgeous back cushions which overhang his slim but solid arms, all finished with simple piping which adds an extra touch to his vintage leather sofa style. If you like the look of Whitechapel you should really meet his brother Spitalfield, he has a bit more of a traditional sense of style and wears only our exclusive original leather.